Late Francis Newton Souza (12 April 1924 – 28 March 2002), popularly known as F. N. Souza, was the founding member of the Progressive Artists’ Group of Bombay, and was the first post-independence Indian artist to achieve high recognition in the West. Souza’s style exhibited both low-life and high energy. After losing his father at a very young age and being afflicted by a serious bout of small pox, he vowed to go about life his own way. Souza was expelled for participating in the Quit India Movement while studying at the Sir J J School of Art in Mumbai. 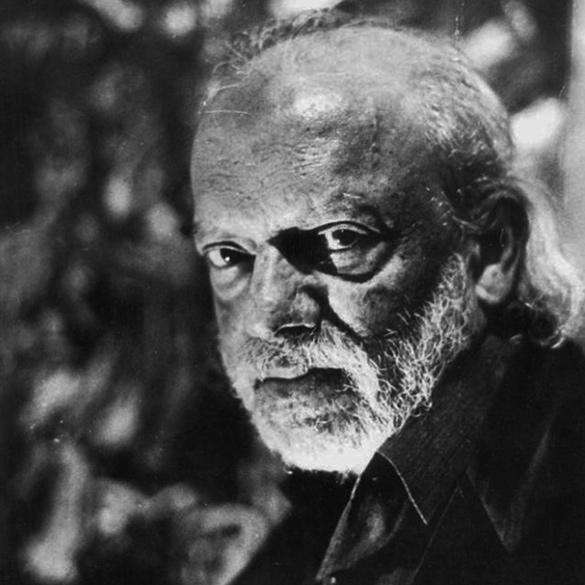 In 1947, he founded the Progressive Artists’ Group along with S H Raza, M F Husain and K H Ara, among others. An articulate genius, Souza augmented his disturbing and powerful canvases with his sharp and provocative prose. Francis Newton Souza’s unrestrained and graphic style created thought-provoking and powerful images. His repertoire of subjects covered still life, landscape, nudes and icons of Christianity, rendered boldly in a frenzied distortion of form. His paintings expressed defiance and impatience with convention and with the banality of everyday life. Souza’s works have reflected the influence of various schools of art: the folk art of his native Goa, the full-blooded paintings of the Renaissance, the religious fervour of the Catholic Church, the landscapes of 18th and 19th century Europe, and the path-breaking paintings of the moderns.